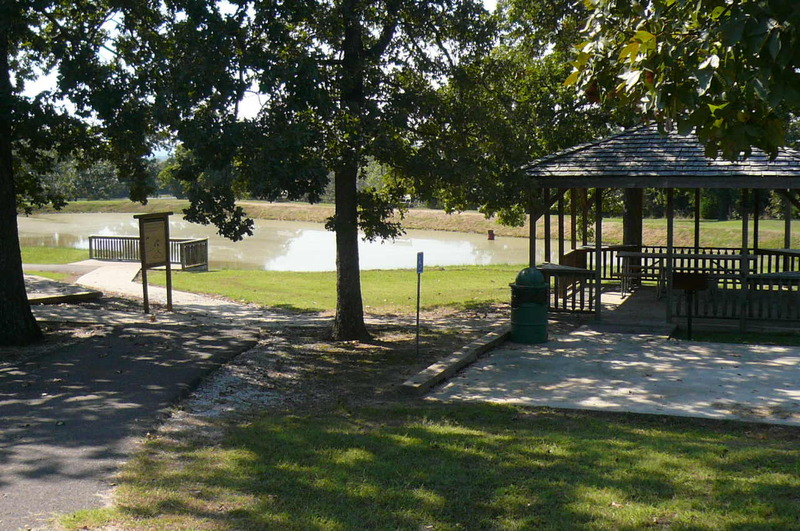 Greenleaf State Park has four trails. Two of the short trails are contained completely within the park. Here's a brief description of each trail. 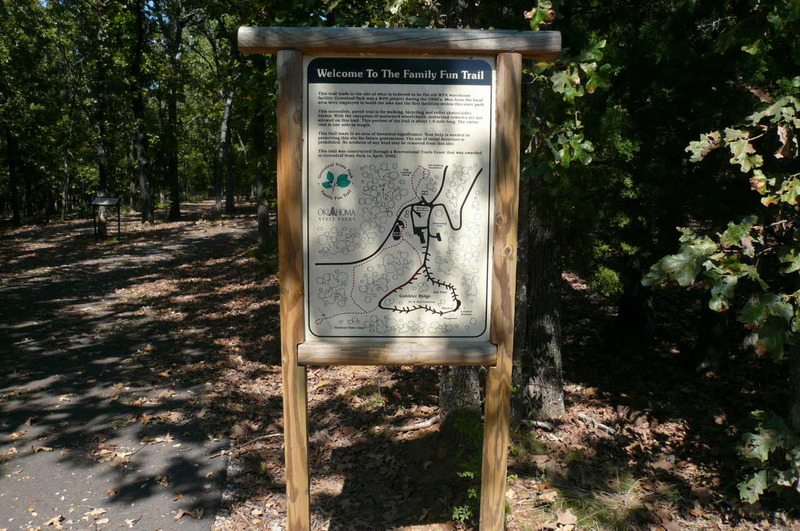 Family Fun Trail - formerly part of Gobbler Ridge trail. 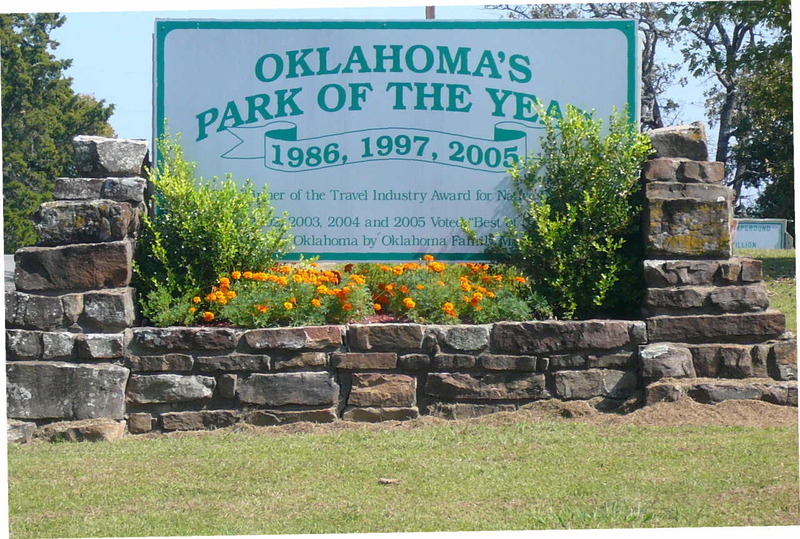 The trail begins at the park office. 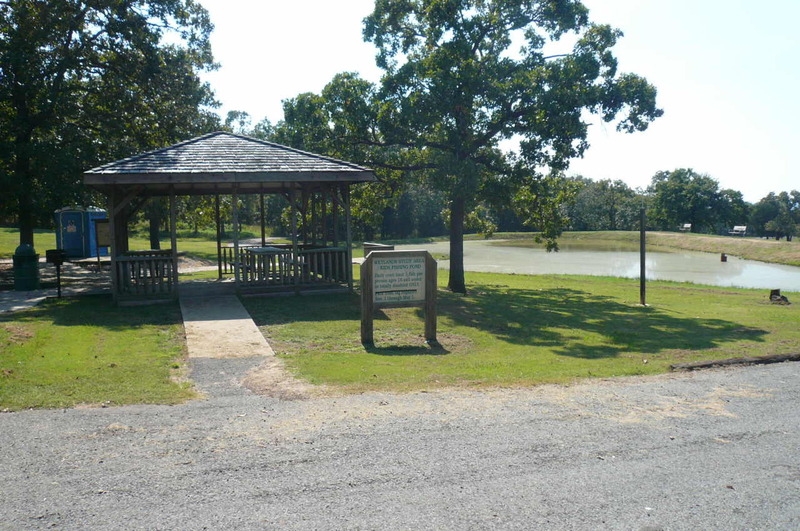 There are also several other locations to access the trail including two areas within the Gobbler Ridge campground and at the kids fishing pond. The length of the trail is approximately one and one half miles. 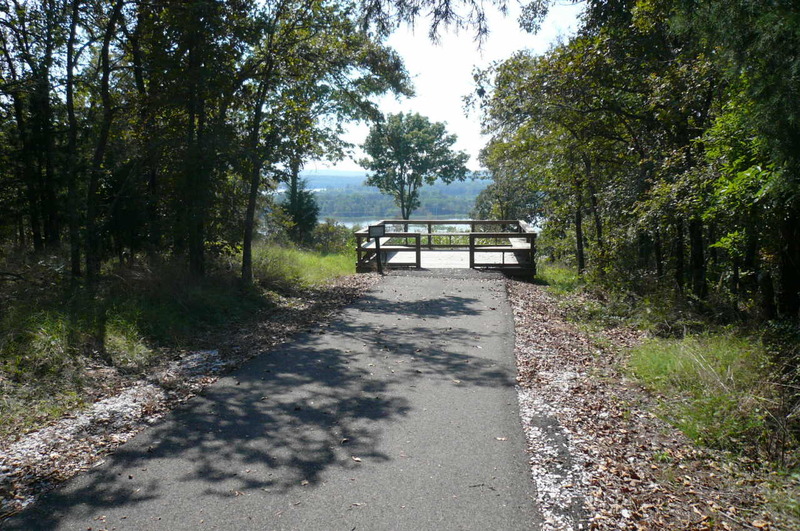 The paved hiking trail offers the hiker a view of areas formerly unseen by our park visitors and guests. 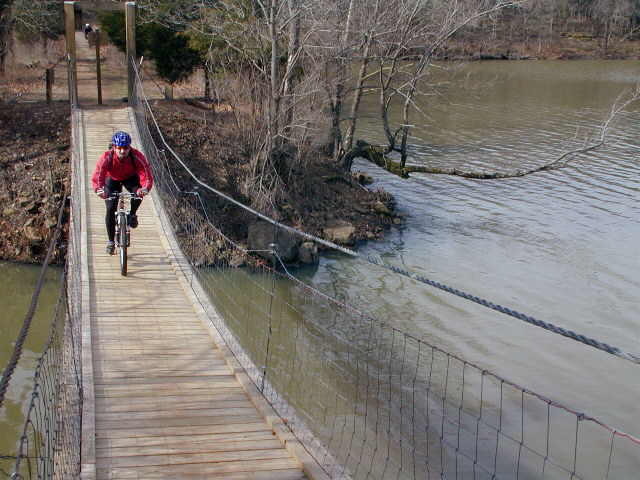 Enjoy the trail on bicycle, skates, walking or pushing a stroller. 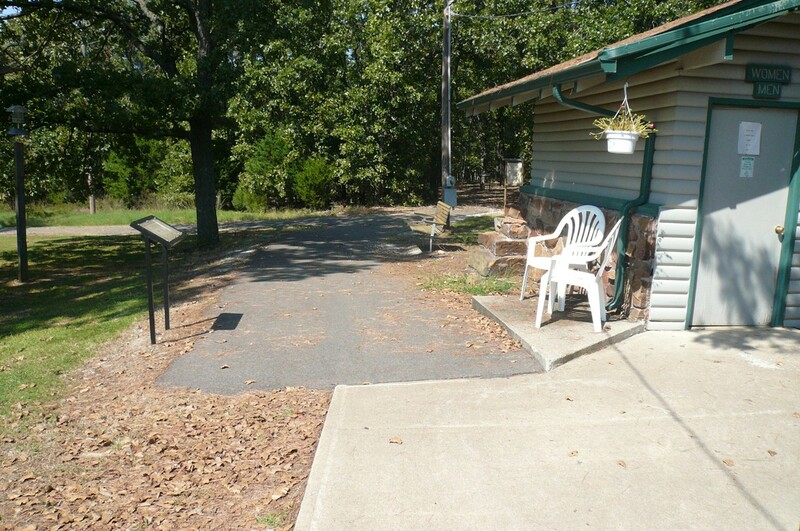 The trail has an entrance just outside the cabin office and takes in historical areas from the CCC days. Another way to access the trail is from the kids pond. 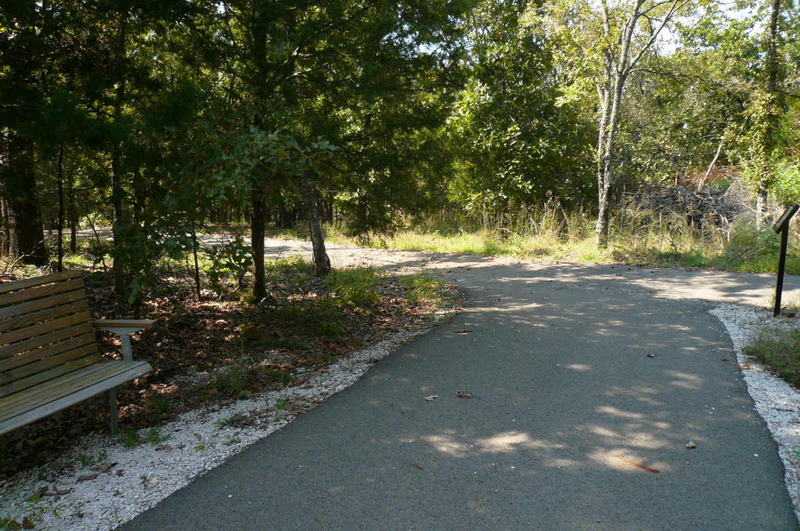 This area takes in some of the former Gobbler Ridge Trail and also travels through a wooded area of the park. 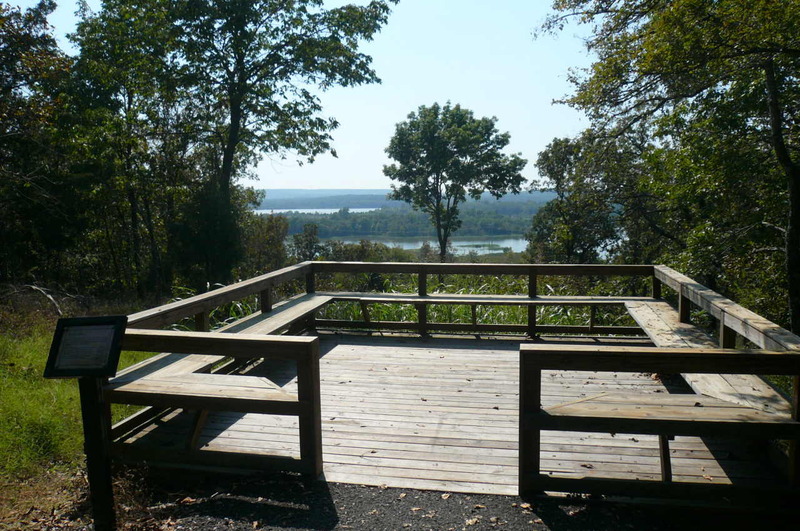 An observation deck with benches allows for a beautiful view of the Arkansas River. 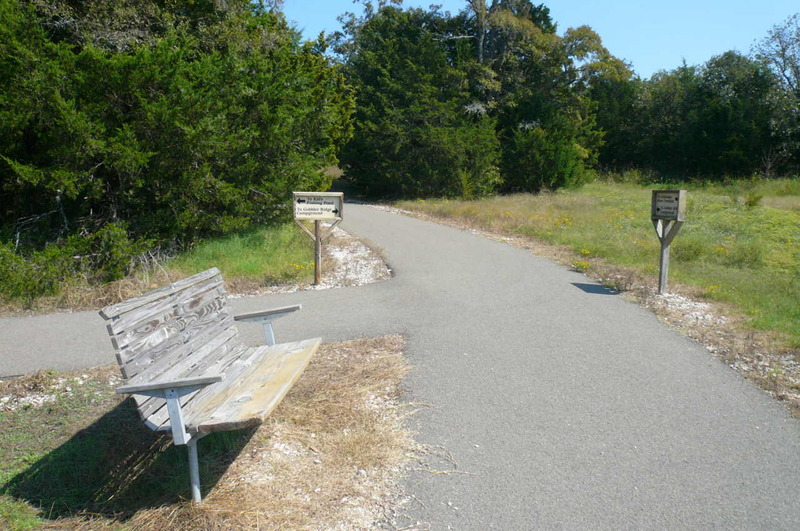 This trail has informative signage and benches along its route, which is about 1-1/2 miles of paved surface. 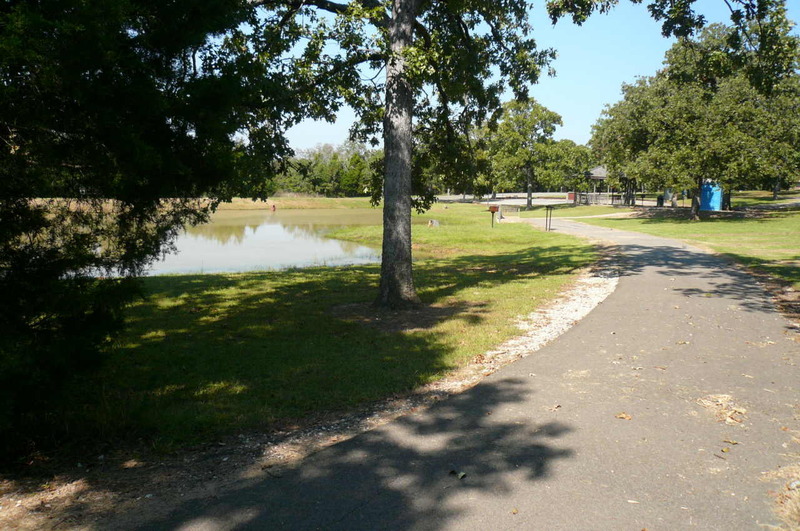 This handicapped accessible trail can be navigated easily by wheelchairs, bicycles, skates, walking or pushing a stroller. 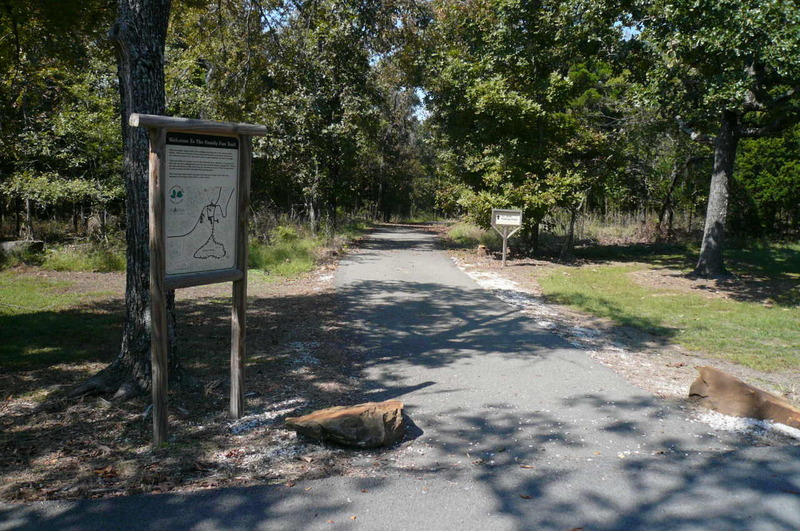 Deer Run Nature Trail- The Entrance is near the Deer Run Campground in open field at edge of woods. 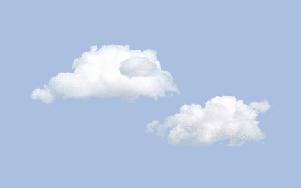 The length is around one mile. 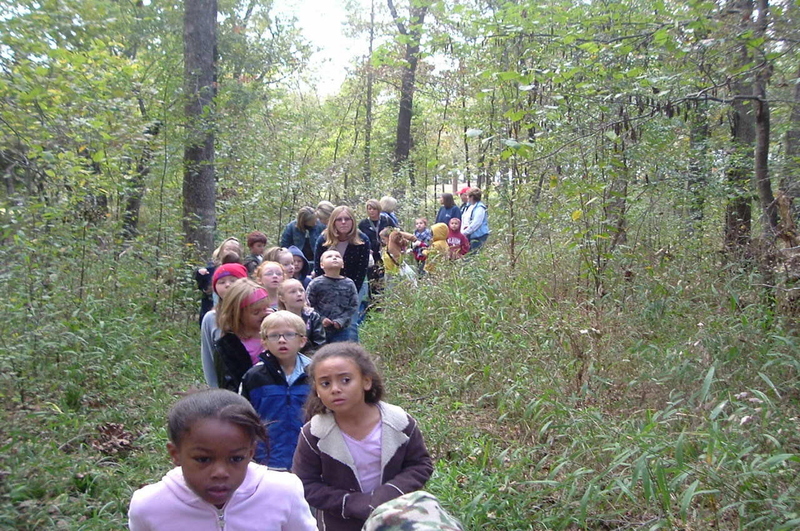 This trail is a favorite for visitors to the nature center. 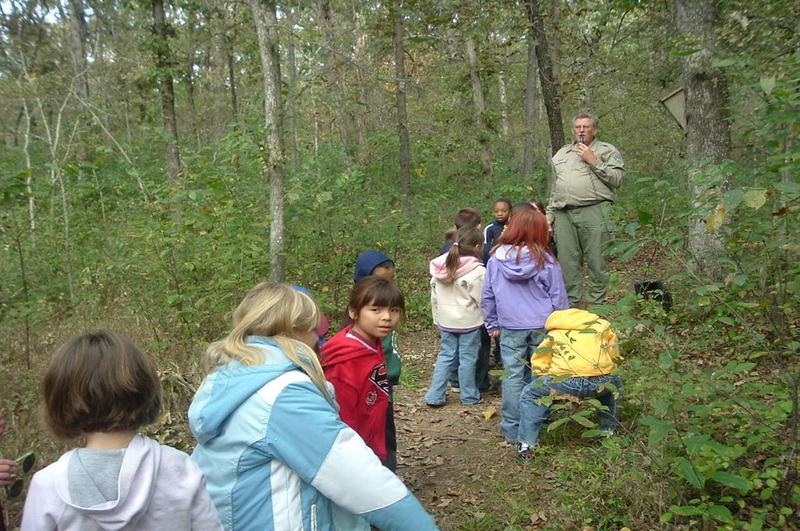 The naturalist frequently uses this trail for hiking activities as it is close to the nature center exhibits and it allows guests to see a variety of wildlife, foliage, insects, birds and other items of interest. Very comfortable hiking for small children. Small bridges cover little streams for easy crossing. Very shady, easily navigated. 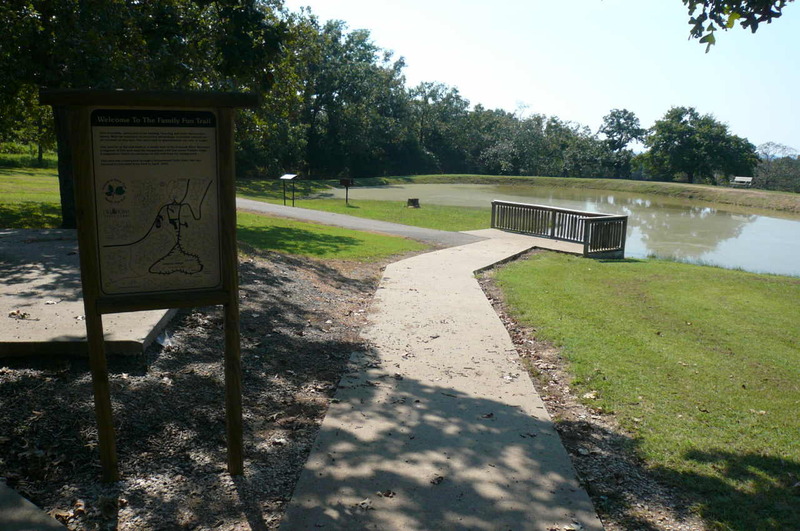 Ankle Express Hiking Trail- One entrance is at the south end of the Greenleaf Dam near the spillway. Another entrance is in the park at the base of the big hill leading into the lower campground area on the south side of the road. The length is an 18 mile loop. This is a major trail that starts inside the park at the Trailhead. 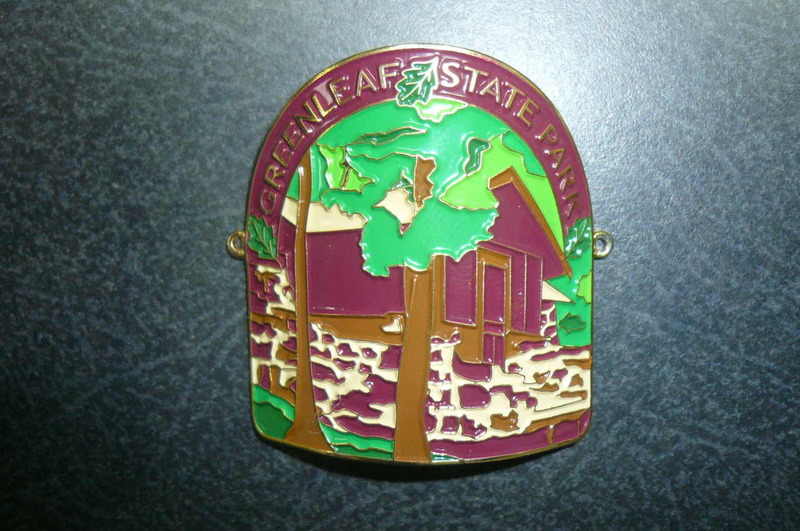 Hikers are asked to register at the kiosk so that we know you are out hiking. 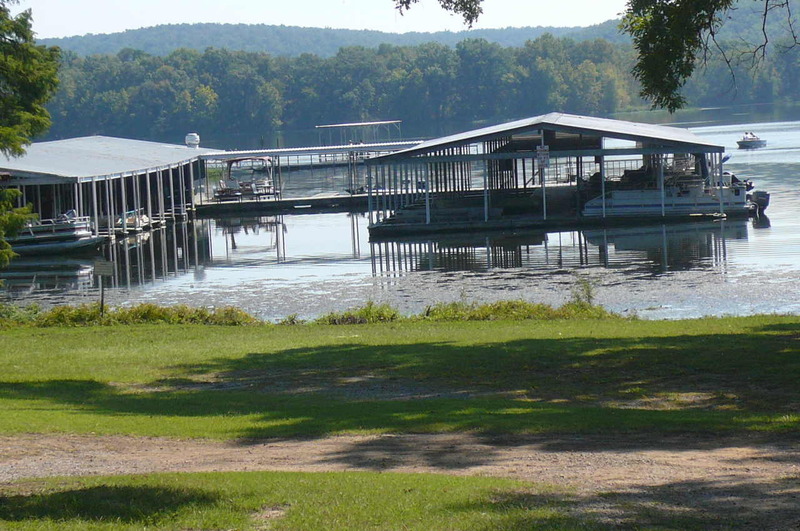 The trail proceeds around the south end of the park, then north along the east side of the lake. 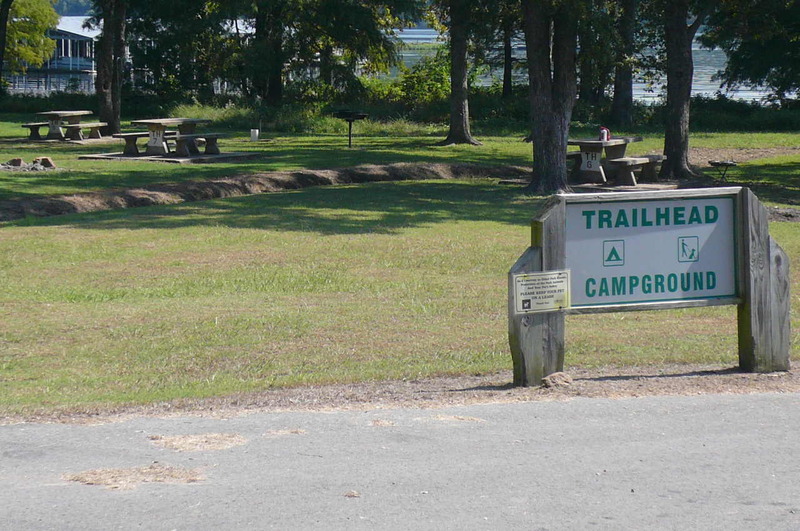 The trail is designed for overnight backpacking, however day hikers/bicyclists also enjoy it. 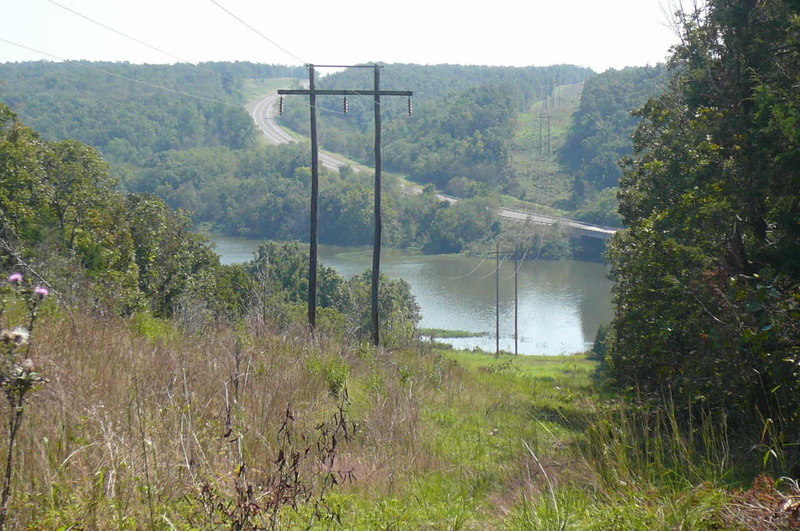 This difficult 18 mile loop crosses uneven terrain with some steep grades and rock surfaces. The south loop is easier while the north loop is primitive and more difficult with technical sections and very rocky in spots. 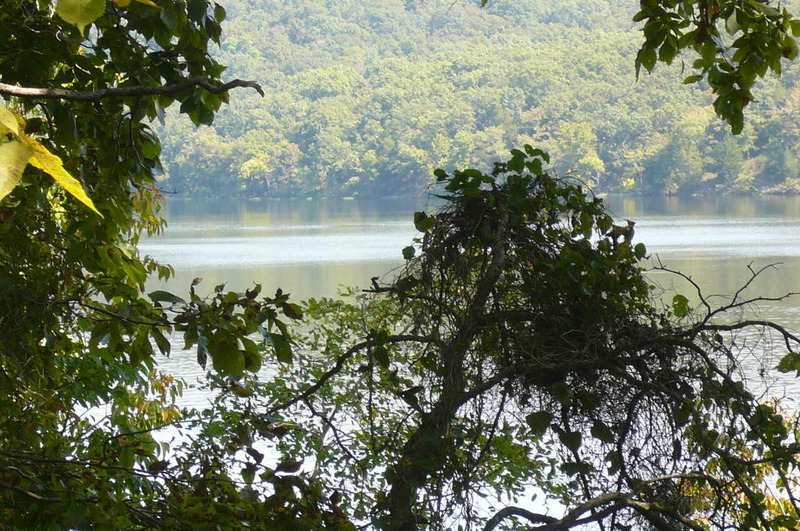 View of the lake and interesting rock formations can be seen on the ridge trail. 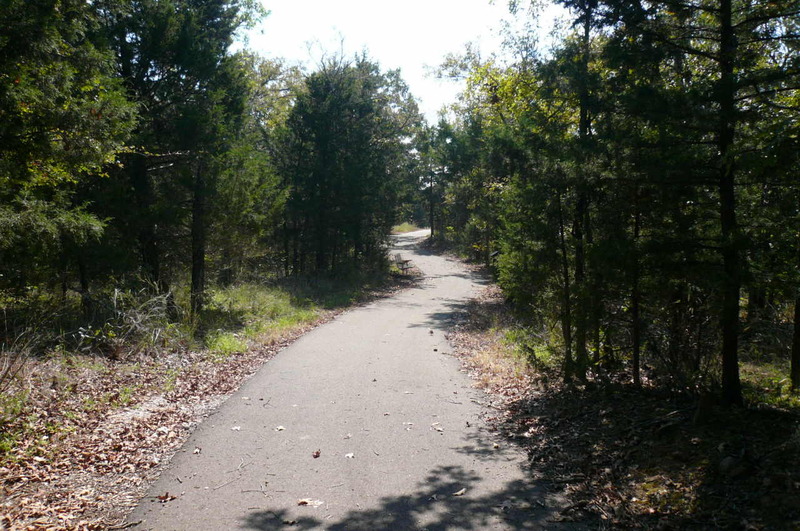 This trail also passes through property belonging to Camp Gruber, an Oklahoma Army National Guard training facility. 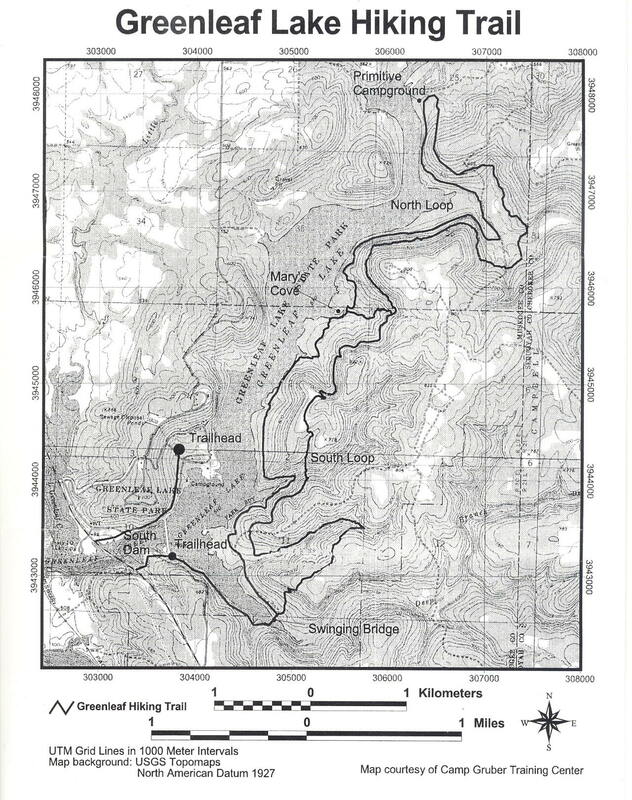 The trail is open most of the year, closing only briefly a couple of times during hunting seasons. 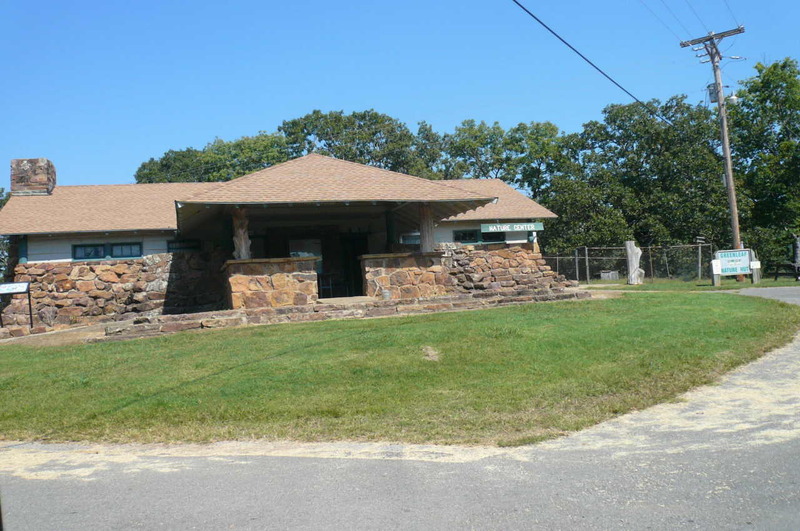 Hikers can obtain hiking/closure information from the Park Visitor Center. 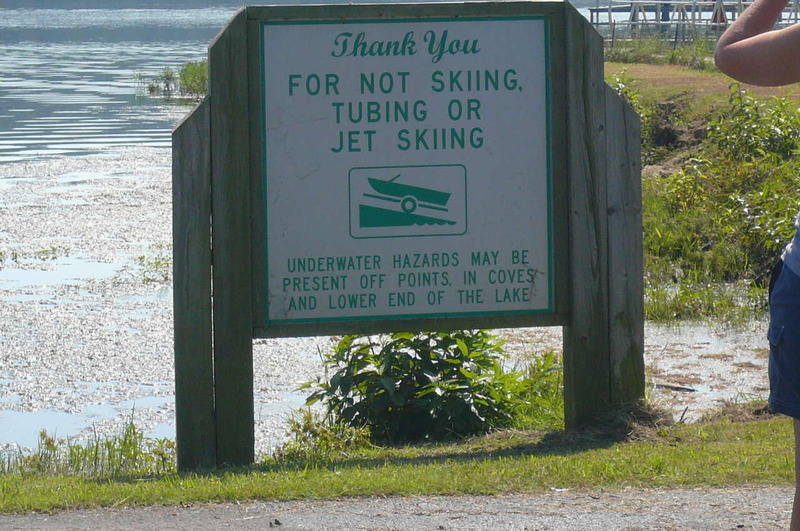 Hikers/bicycles are required to register at the trailhead before hiking the trail. The trail is moderate to difficult. Bicyclists should allow 4-6 hours for completion.